A prior New Yorker piece described the US-occupied area east of the Euphrates as “an area about the size of Croatia.” With no Congressional vote, no public debate, and not even so much as an official presidential address to the nation, the United States is settling in for another endless occupation of sovereign foreign soil while relying on the now very familiar post-911 AUMF fig leaf of “legality”. Like the American public and even some Pentagon officials of late have been pointing out for years regarding Afghanistan, do US forces on the ground even know what the mission is? The mission may be undefined and remain ambiguously to “counter Iran”, yet the dangers and potential for major loss in blood and treasure loom larger than ever. So a US-backed local politician says the US can’t leave or there will be war, while American defense officials simultaneously recognize they are occupying the very center of an impending insurgency from hell — all of which fits the textbook definition of quagmire perfectly. 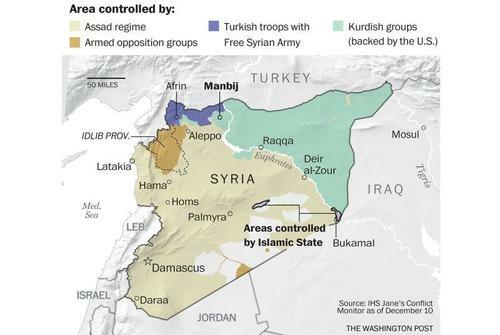 Syrian government troops and Iranian proxy fighters are to the south and west. They have threatened to take the area back by force, in pursuit of President Bashar Assad’s pledge to bring all of Syria under government control. 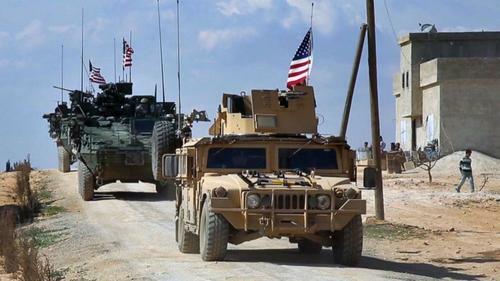 Already signs of an Iraq-style insurgency targeting US forces in eastern Syria are beginning to emerge. Recent reports out of the Pentagon suggests defense officials simply want to throw more money into US efforts in Syria, which are further focused on training and supplying the so-called Syrian Democratic Forces (or Kurdish/YPG-dominated SDF), which threatens confrontation with Turkey as its forces continue making preparations for a planned attack on Kurdish enclaves in Syria this week. As America settles in for yet another endless and “indefinite” occupation of a Middle East country, perhaps all that remains is for the president to land on an aircraft carrier with “Mission Accomplished” banners flying overhead?